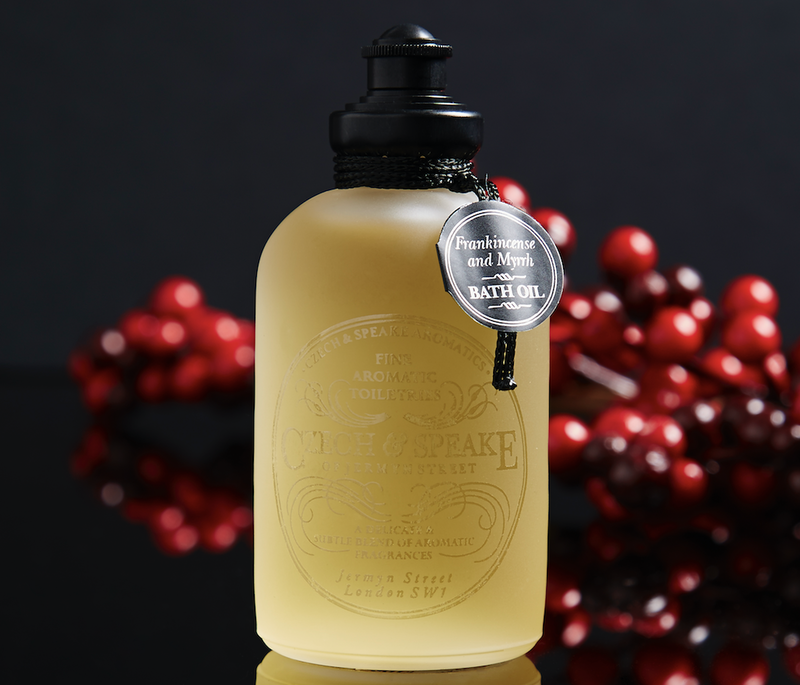 Masculine florals, warm powdery notes, or deep woody aromas. Whatever your favoured scent, winter provides the perfect opportunity to add exciting new fragrances to your collection. We’ve got a number of colognes, candles and bathing products that will create a feeling of warmth and comfort through the season change, evoking the most provocative of our senses; the sense of smell. Smell is a powerful tool with the ability to recall memory so vividly, and that’s what makes winter fragrances so special. Nostalgic scents of Christmas will always remain prominent. During the cold season, we can use personal or home fragrance to awaken our minds and hearten a darker day. Add an element of the exotic to your home with our Frankincense & Myrrh collection. A distinctive and sophisticated choice in the men’s grooming market, but one that is equally loved by women. It’s a subtle choice that can transform any space into a sophisticated abode, with an alluring nod to the Orient. The biblical association with Christmas may be the immediate connection, but the complexity of the famous scent is quite extraordinary. The deep woody notes, conjure up a feeling of luxurious comfort. The unique frankincense and myrrh resins, as extracted from tree bark, emanate the earthiness of winter, whilst the rich base notes of cedarwood and sandalwood warm your body and mind. This unique fragrance is available across multiple ranges, including our fragrant candles and room sprays and our luxury colognes. Use all of these products together for an arresting aroma that will be arouse your memory, and the memory of those who enter your home. For something seductive this winter, choose our rich and bold interpretation of the rose flower. Our Dark Rose collection features a unisex Eau De Parfum that can be worn day and night, along with giant incense sticks that fill the air with captivating Arab and Indian aromas. A romantically symbolic perfume with a darker, masculine twist – this fragrance is far from understated. If you’re inclined to powerful scents that stimulate emotion, this is a great fragrance choice this season. The top note is May Chang, a spicy and lemony oil. The middle notes are the rare and exquisite Rose of Taif, saffron extract, and lily. And base notes are oud, musk and cedarwood, which combine well to create a deep warmth and intensity. Find out more about Dark Rose relaunched. No. 88 has been an all-around favourite fragrance, especially in Winter, thanks to the richness and warmth of geranium that it includes. No.88 is a much-loved fragrance with both men and women. 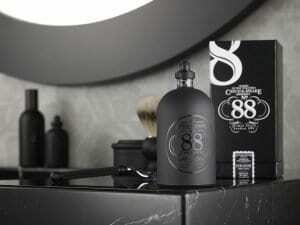 Our No.88 has a concentrated blend of bergamot, geranium, rose, vetiver and sandalwood. Opt for the No. 88 this winter if you’re after a modern classic yet a full-bodied, sophisticated sensuality. Add this much-loved fragrance to every part of your grooming routines this winter 2018. To shop for No.88 products head over to our fragrance section for the colognes and perfumes or our grooming section for soap and shaving sets. Winter brings a time of cosy evenings by the fire, quality time with family and hearty food. To settle into the mood, treat yourself or a loved on to one of this winter heart-warming fragrances that fill you will warmth. To shop all of our fragrances ranges, head over to the fragrance section. To read about finding your signature scent, head over to our blog, which gives you insight and tips into choosing that important all-year-round fragrance.